When most people think of Argentina the first things that come to mind are Buenos Aires, Tango, and Evita Peron. Yes, these are things to remember Argentina by but when I think of Argentina I think of Gauchos (the 'cowboys' of Argentina), I think of food (I have tasted some of the best food in the world here) and I think of our sweet Sangat scattered all over the country. There is so much culture and history to Argentina that lead back to when it was richly populated in the Andes Mountains with Indigenous people. One year, when we were visiting Salta, Argentina, we went to a museum and we even saw the actual face of one of the ancient indigenous people. It was a 3,000 year old mummified body of a 6-8 year old child wrapped in a sarape (shawl) which was excavated from a 15,000 ft mountain. I found it very interesting to know a little bit more about Argentina's history because it really shows what the country has come from. From then until now there have been a lot of changes, obviously, and actually Sikhs have been an integral part of Argentina's development over the past 100 years. Sikhs first immigrated to Argentina in the 19th century to build railroads under the British. 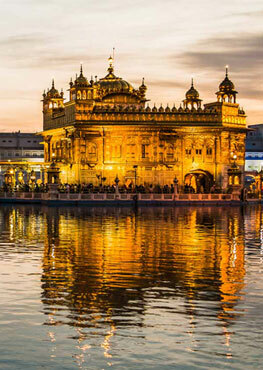 Since then Sikhs have continued to immigrate and develop well established businesses in the province of Salta. The first Sikh Gurdwara in all of South America is in Rosario de La Frontera in Salta Province and there are Sangats in Cordoba, Buenos Aires and Jujuy. Actually, the Sikhs of Argentina were the first Sikhs to populate South America and they built the first Gurdwara as well. Our first stop was a brief layover in Buenos Aires during which we were able to get some lunch and then on to Salta. Salta is the richest province of Argentina due to the natural resources, agriculture and its manufacturing capabilities. S.S. Gurubachan Singh led the first class to a group of yogi's, Sikhs and general public in Salta. The evening began with live chanting and meditating to Guru Ram Das which continued for about 31 minutes. S.S. Gurubachan Singh then gave a lecture and meditations which aimed at developing the intuition and focusing the breath to gain control of one's own mind. The mind loves to play games and it will constantly without withdrawal continue to play games if one does not discipline it. I remember S.S. Gurubachan Singh putting it in very practical terms when he was talking to Salta's most famous talk show host and she asked him "…tell us Gurubachan, how do you keep this discipline of meditating everyday and looking so radiant?". He replied: "…you have a daily discipline of waking up at 4:30 in the morning and making yourself ready, putting on makeup, styling your hair, showering etc right? So we already know that you have discipline! Why can you not apply this discipline to cleaning your mind every day and balancing yourself with meditation??" Everyone in the studio went silent as if they were thinking; hmm, he's right it seems so simple. What I have noticed on this Tour is that when people hear things in practical terms, that is when they respond because these days it has to be practical and it has to be convenient otherwise, it is a waste of time. That is what Kundalini Yoga is all about, that is what I love, and it is designed for the householder. That person who has to focus on 10 hour long work days, plus come home to a family of 3 kids and help the spouse, plus do his/her seva, plus do his/her personal routine. The list goes on and on. What it comes down to is discipline and spirit. You must have the spirit to carry yourself and others and you must have discipline to keep it all consistent and constant like the sun. S.S. Gurubachan Singh leads the group from Salta in series of meditations with Guru Amrit Dev Kaur to his left and Guru Shabad Kaur to his right. Jujuy sits in posture focusing on the breath and meditating on the Naam at the Lord of Miracles Tour Lecture. A yogi from Jujuy delving in to the posture with great concentration. An inmate from the prison we visited in Salta sits to meditate during the class. Our group poses for a picture the inmates who attended the meditation class. Guru Amrit Dev Kaur and Sat Nam Singh along with rest of the Salta Sangat hosted a potluck dinner in honor of the Tour, it was a sweet visit. (Left to Right) Guru Shabad Kaur, Sat Nam Singh and Guru Amrit Dev Kaur lead a chant to Guru Ram Das on our last night in Salta. Sat Nam and Guru Amrit Dev are a couple that have inspired a whole region of Argentinians' through their dedication and brightness. They have been teaching in Salta and for about 3 years and in Jujuy for less than 2 years and the outcome has been tremendous, I would like to congratulate them for this and I hope this prosperity of the Sangat expanding and growing in every way continues. The Sangat of Buenos Aires sit in meditation. Siri Pritam Bhagwati Kaur demonstrates a most radiant state as she meditates on the breath. In Montevideo, Uruguay S.S. Gurubachan Singh inspires the Sangat with words of wisdom and a 31 minute meditation to Guru Ram Das. (Left to right): Shiva Singh, S.S. Gurubachan Singh and Ram Das Singh all pose for a picture in a renowned and historical alley way of Colonia, Uruguay. The next day we were invited to teach at a jail on the outskirts of the city of Salta. S.S. Gurubachan Singh taught a great class to two separate groups of young inmates who had been incarcerated for numerous reasons. The great part about these classes was that they have developed an interest in Kundalini Yoga because they have had teachers visit and teach them regularly, and this has become so important in their lives. A growing number of young men who resorted to drugs and alcohol in prison can now turn to Kundalini Yoga to develop their mind, body and spirit. Teaching in these prisons continues to be a great success and a great seva for the community. Even the corrections officers participate and promote it. The next class I felt was a significant step forward in Argentina's community because of the group of people we saw there. We traveled 2 hours outside of Salta to San Salvador in the northern most province of Jujuy (pronounced 'hoohooey') where a large group of people waited for S.S. Gurubachan Singh to lead them in the Lord of Miracles lecture class. The lecture and mediations were great and it was an uplifting experience for everyone. They were all so grateful because this was the first time the Lord of Miracles Tour visited their city. Guru Amrit Dev Kaur is the lead teacher in the region and she has done a great job of inspiring many people to learn and become teachers of Kundalini Yoga as well as being an example of Sikhi. She has basically raised a Sangat through her light as a teacher of Shabad Guru and Kundalini Yoga and the Sikh lifestyle. Now a new Sangat has sprung in Jujuy. It was very inspiring to see so many new faces who carry the radiance of Shabad Guru and the wisdom of the teachings that Yogi Bhajan taught. From Salta we traveled to Buenos Aires (which means 'good air') the land of many famous things that Argentina is known for like tango dancing, pizza, vacationing etc. S.S. Gurubani Kaur welcomed us at the airport with such love and escorted us to our hotel. Visiting Buenos Aires is always such a treat for us; number one, the Sangat always welcomes us with more food and love than we can handle, and number two, the city is gorgeous! Beautiful buildings, beautiful air, there is always something to do there. The Lord of Miracles Tour lecture led by S.S. Gurubachan Singh was held at Valle Tierra, one of the most sought after yoga centers in Buenos Aires. It is a beautiful center in one of the city's retail districts'. The class was filled with people from across Buenos Aires province and once the class began everyone was in tune and centered, ready to meditate. It was a very good class, very high spirited and elevating. Just sitting watching everyone was uplifting because I could see the shift in the vibration and energy as everyone was uplifted. We were able to spend about a day of rest in Buenos Aires before we continued on to Uruguay for one night and then to Brazil. In the morning we boarded a ferry boat to Uruguay which crossed the delta of Rio de la Plata from Buenos Aires. It was a nice change from traveling on airplanes all the time and we arrived within about 2 hours. At the port we were greeted by Shiva Singh and Shiva Kaur who treated us to lunch and a tour of a sweet and quaint town called Colonia. We then drove 2 hours to Montevideo, the capital of Uruguay, where Khalsa Kaur had arranged and meditation class for S.S. Gurubachan Singh to teach. The class was held at the Yoga center of Bhajan Kaur who had passed away earlier in the year due to cancer, so the class was held in her honor and we all did a Guru Ram Das meditation as well. It was a short but sweet visit to our beloved Uruguay which was ended that evening with a 1am dinner at a local Uruguayan Italian restaurant. By the time we went back to the hotel we were baffled by how late it was and that we needed to be on a 8am flight to Brazil. However, it was time well spent with the gracious sangat of Uruguay. In the morning we caught our flight to Belo Horizonte, Brazil which is where the last chapter of this year's tour began. Please stay tuned as we cover Brazil and El Salvador in our next article about this wonderful Lord of Miracles Tour in Honor of Guru Ram Das.